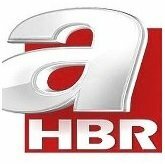 News TV Channel / a Haber, news channel established by Çalık Holding. The chief editor of the channel Haberturk TV's former chief of Erdogan Aktas has undertaken, in 2011 instead of the former deputy Cengiz has passed. Both HD and SD broadcast. Turkey is the first HD broadcasting channel. It is the second news channel broadcasting in 16: 9 widescreen format after TRT Türk. On April 24, 2011, the test was broadcast, and on April 25, 2011, it started normal broadcasting. Besides the news broadcast, it also publishes some soccer competitions. Copa America 2011 has the rights to broadcast and broadcast all matches in HD quality. The 2011 Italian Super Cup Final in HD quality. The Turkish Cup will broadcast live some of the 2011-2012 season matches with HD quality.